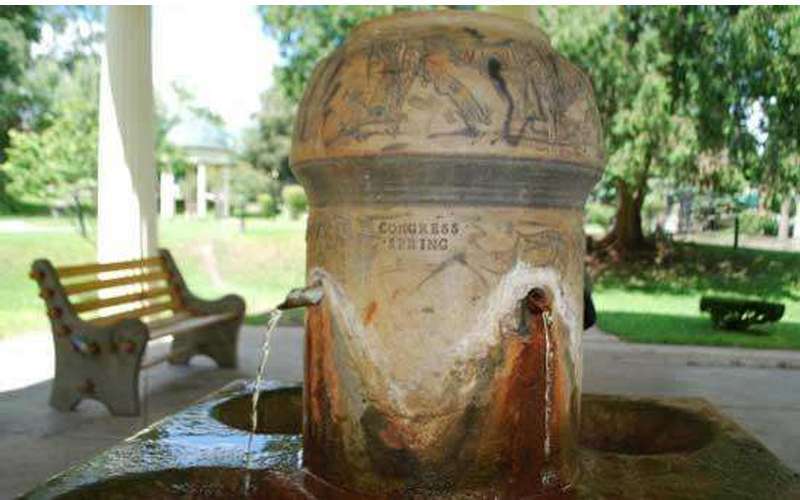 Congress Spring was discovered in 1792 by Nicholas Gilman, a member of Congress. 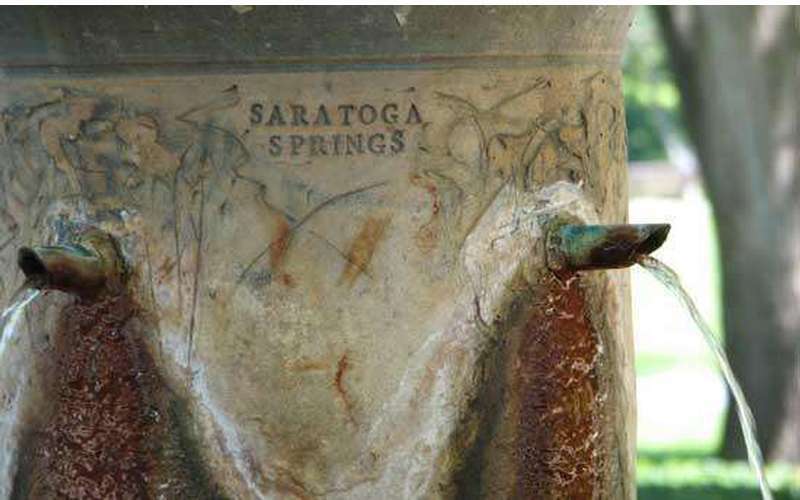 It was tubed by Gideon Putnam, an early developer of Saratoga Springs. 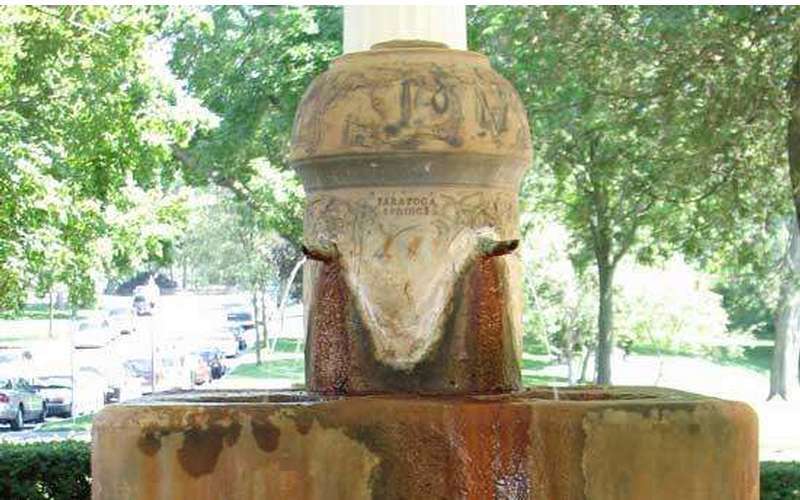 Dr. John Clark purchased the spring in 1826, bottled the water, and shipped it throughout the world. This Greek pavilion that currently exists around Congress Spring is a replica of the mid-ninteenth century original. 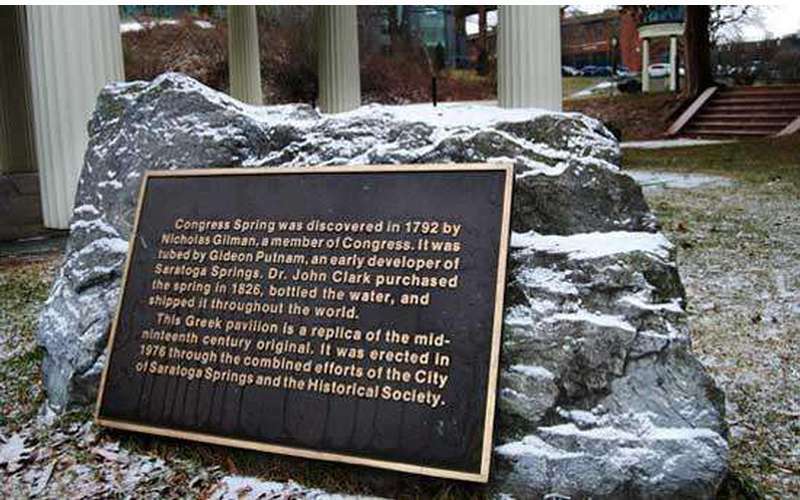 It was erected in 1976 through the combined efforts of the City of Saratoga Springs and the Historical Society. -- Information found on the stone right next to Congress Spring in the park.